FADING Harare giants Dynamos seem to be lacking the quality in front of goal if their performance against Caps United yesterday is anything to go by. Dynamos got numerous chances but striker Quality Kangadze seems to be lacking the quality in his finishing, failing to convert. Quality had a number of chances which could have buried their bitter rivals but his lack of precision saw them falling 1-0 courtesy of their reject Denver Mukamba. 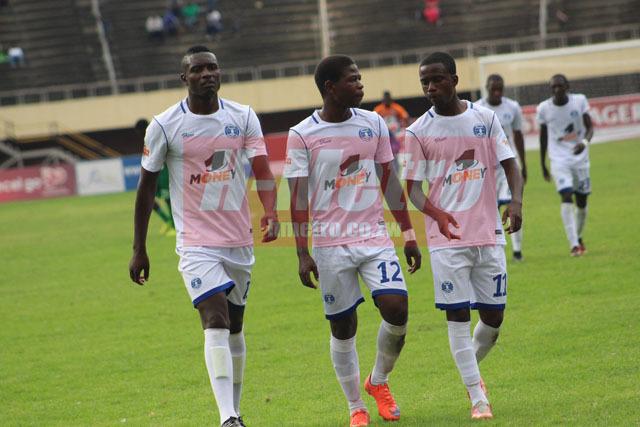 Coach Lloyd Mutasa said he could not single out one player to blame saying they failed as a team. He said he was happy that his boys were getting in scoring positions but was just worried with their lack of conversion. “As a coach I wouldn’t want to play the blame game, when we lose, we lose as a team. Chances come to different youngsters and here and there they are bound lose. Quality on the positive was getting in the scoring positions but probably the conversion rate was not proportional to the chances we got as a team. “When you look at Dynamos we don’t look at individuals probably pin point players but as a coach it is my duty is to mould them to become better players than criticize them,” he said. Their strike force comprising of Quality and Kuda Kumwala has not been getting the much needed goals and with little options on the bench, this has not helped the situation. Yesterday, Kumwala never had a shot at goal. Striker Tawanda Macheke and winger Cleopas Kapupurika have been reduced to the bench. Both were on the bench in their previous encounter against Yadah and yesterday they were nowhere to be seen.